Band Horror God was formed in 2006 on fragments of collectives Harrogath and Portal - Z. From the very beginning the group experimented within the limits of style Black/Death, but that it has turned out to name any certain style difficult as a result much. Subjects of texts - not usual for such music. A lyrics basis are problems of modern society. Who such Human? A top of creature or a virus remorsellesly devouring a life, destroying harmony and himself. Music Horror God - a mirror, also can be in it you will see itself and will hear the thoughts, can will begin to hate. In 2007 collective in house conditions the demo �Indifference. Freedom. Weakness�, but the decision not to publish it was accepted. 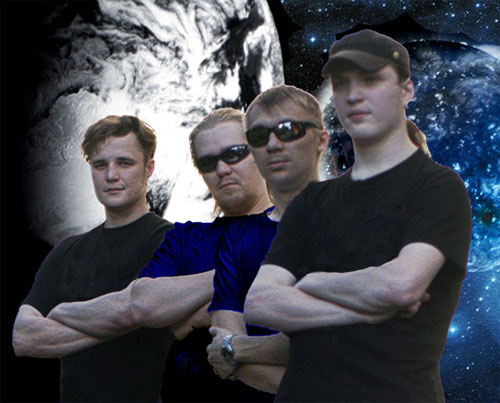 In March, 2008 the group starts record of the debut album on Primordial studio (Abstact Spirit, Twilight Is Mine). In May, 2008 the album has been completely finished also collective starts search of a label which will publish the given release. In March, 2009 on label More Hate Prods. there is an album a debut album "Cold Shine". For 2008 - the beginning of 2009 the group has won back in incomplete structure some concerts in Moscow and Sergiev Posad. In April 2009 Sergey Chudo comes to Horror God.